When an international panel awarded the contract for it in 1957, the concept for the Opera House was a radical new approach to construction. Its innovative engineering and design became the impetus for much of the unique architecture that followed during the latter half of the 20th century. 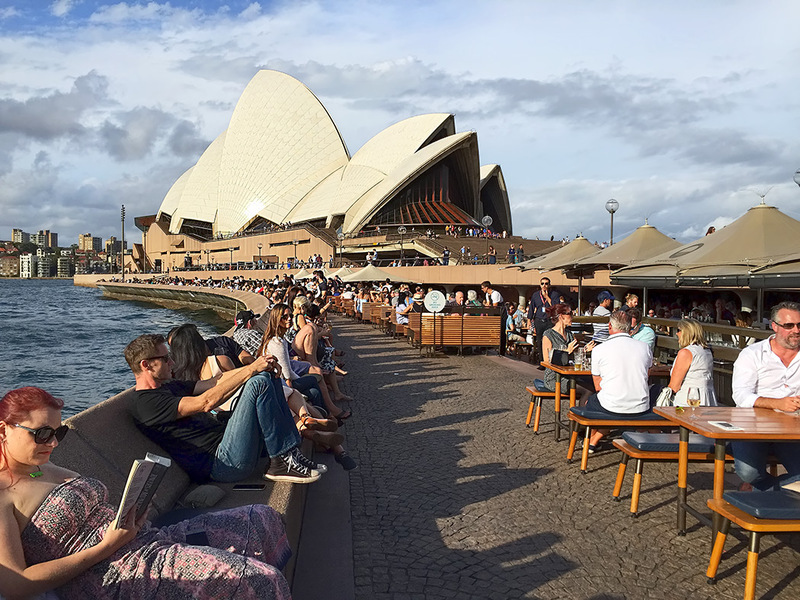 Today, the Sydney Opera House welcomes more than 8.2 million visitors a year and is one of the world’s busiest performing arts centers. More than 2000 shows are performed each year for more than 1.5 million people. Thanks again, Tarin. So happy you enjoy my blog. I can feel the atmosphere from the photograph! Hi Linda. It was packed, but for some reason it also felt serene. Like everyone was having a wonderfully relaxing time.